My friends and I visited Luiz Cafe 雷人馆 which is located at Malacca Jonker street during the trip to Malacca the other day. I wondered why the rice is BLUE in colour eh? But it tastes nothing special like normal rice that we eat everyday though. Overall the food was okay, not too bad. I shall said its above average. Well, one NO GOOD about this Luiz Cafe is, one of the staffs there is kind of 'weird'. He kept on staring at us *specifically, GIRLS* while we had our meals there. Creepy right? So it makes us feel a lil comfortable while we visited the cafe the other day. The blue rice is coloured by a type of blue flower... & the durian given is generous... yum! i see i see. i thought is colouring at first! LOL! The blue rice is colored by a type of flower, a type of blue flower, not coloring. The blue flower can easily find in Melaka and widely used in Nyonya food. Its very normal to see blue rice in Melaka. Hey Xue Ren, I'm opening my Kneipp Giveaway to Malaysians too, if you've someone in Singapore to collect the prize on your behalf. So share the good news & come join the party @ Kneipp Healthy Feet Collection + Giveaway!! no see dao price~ expensive kah? ehhhhhhhhhh. why am I not aware with this shop one eh. omg. 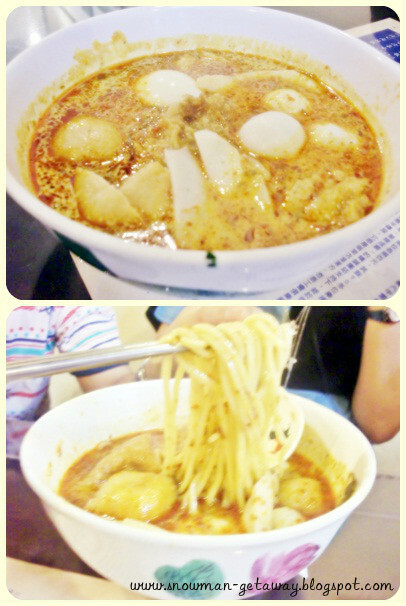 I should go back once in a awhile to find the place to eat liao. Hmmm did you guys tell the PIC about the bloke starring at you all? hmm, nope nope. we tell no one, but keep to ourselves. This is the first time you see blue rice? Looks delicious! I want that durian cendol! Yummy! haha, i actually forgotten the price, but all i rmbr is quite costly in the end. LOL! the people wrking here a bit..."erm.."